Your office space should help you be productive and perform your best work. At LandPark, our goal is making sure you meet your owner investment initiative through landlord representation. If you're looking for office space, you probably have certain things in mind that are important to you. Unless sound asset management techniques are put in place, investing in commercial real estate can be quite disappointing. Finding an appropriate location to set up an office for your business is a necessity when it comes to your success. Are you looking for new office space to lease? The right Houston property management firm can make the difference between growth and loss for your commercial property. Long-term tenants are very valuable in the commercial real estate industry. If you own commercial property, hiring a property manager can help to reduce your stress and workload. Throughout Texas, you'll find an array of office settings. 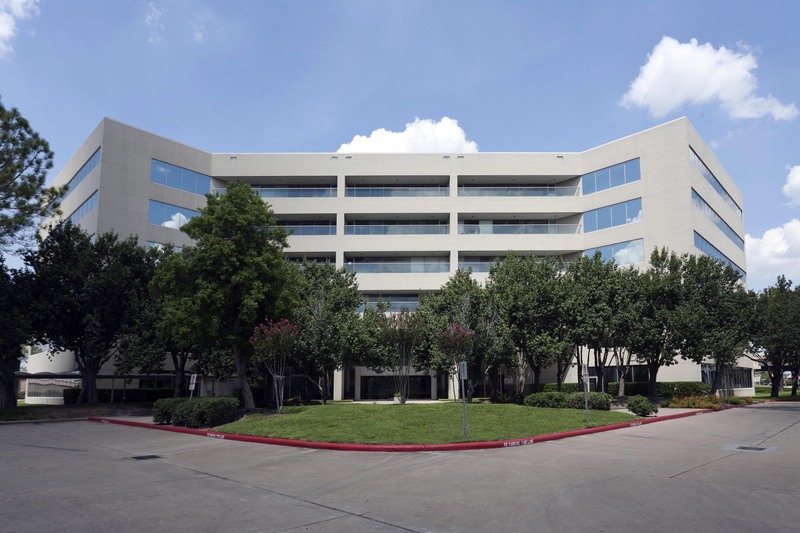 The Houston area has many office buildings in search of potential tenants. While recent consumer trends lead some to believe that brick and mortar businesses are in the past, the truth is that almost every company maintains some type of physical presence somewhere. When we talk about managing a rental property, it can be so easy to make the assumption that this is another responsibility that you can handle alone. Do you already have your own portfolio that is filled with real estate assets? Leasing commercial real estate or even warehouse space is a big undertaking and can sometimes seem like a big and complicated process. Should You Lease or Buy Your Next Office Space? If you are a business owner, you have probably already weighed the pros and cons of purchasing or leasing an office space. Changes are always being made when it comes to leasing industrial or warehouse space. It has probably crossed your mind a time or two, unsure if you can handle all the aspects of managing a commercial property? Property management is ideal so that you can keep the focus on what really matters in order to maximize your profits. Whether you are looking for office space, retail space, or warehouse space for lease, at some point you will have to call a leasing agent. Finding the right leasing agent is as important as finding the right commercial property. As more and more Millennials enter the workplace and start their own companies, they are changing the culture of the office environment. Everyone knows that the rise of e-commerce has had a massive impact on brick and mortar retail. Many retail stores have shuttered their doors with the rise of Amazon, Alibaba, and eBay. Are you planning to move, expand, or start a business? Being a landlord for commercial properties has its benefits and disadvantages. Negotiating commercial leasing is easier when you know the terms. The office space your business occupies is one of the biggest operational costs your business will face. Renting a new office space is fun, exciting, and necessary when a company grows. Unfortunately, it comes with its own set of unique challenges. Finding the perfect property management company for your property can be a stressful experience, to say the least. The day that you have been dreaming about is here. You are finally looking for the perfect office space for your business. Hiring a property manager is one of the single most effective ways to enjoy more free time, get timely rent payments from your tenants, and ensure your building gets the best tenants possible. Searching for new properties tends to be stressful for everyone involved. A lot of people will actually procrastinate when it comes to a property search specifically because they're anticipating just how difficult it will be for them. When it comes to purchasing multi-residential real estate, the property management company you hire is one of your most important decisions. LandPark's Grand Opening in San Antonio! We're excited to have the opportunity to serve Texas's beautiful Hill Country. Read all about our newest location in San Antonio! When deciding to start a business and begin looking for office space, one of the considerations is whether or not you want to buy or lease. Is It Time To Switch Your Home Office To An Office Space In Houston? There comes a time when many entrepreneurs venture out of their home office and into their own office space. There are many different asset management services, but what sets them apart? Change is a constant in any commercial real estate market, yet with every change there are also opportunities in which to capitalize. The most critical aspect of leasing office or industrial space is having the space filled with quality applicants in a timely manner. We've all heard the old adage: "it takes money to make money", yet it also takes time to make money. In recent years, Houston has continued to grow into an even more vibrant and diverse city. Now is a good time for companies to lease office space in Houston as vacancy rates increase and a slow economic recovery is in progress. When commercial building owners hire a property management service, they're trusting them to represent their values and goals with tenants. As a commercial property owner, you have most likely at one point or another considered recruiting property management services. Many real estate portfolio owners are not aware of the inherent value of hiring an asset manager. You Have Office Space for Lease in Houston? We Can Help. If you have office space for lease in Houston and you're having a hard time finding a tenant for it, we don't need to tell you that you're not alone. If you are looking to lease new office space, that must mean your company is doing well. We want to congratulate you on your success so far. As a landlord, you are busy in other activities and time to concentrate on leasing, as well as the capital required, is not in your favor. At any particular time there is someone in search of some new office space or whose lease term expiration date is almost due, and therefore, there is always a need to negotiate with property owners. If you're looking to hire a property management firm, chances are, you don't feel you know enough about real estate to manage a property yourself; or you're too busy to do the job. What Kind Of Tenant Representation Do You Want? What does it take for tenant representation to be a success? You will need people on your side who have a full understanding of the entire office market in your area and surrounding areas. Houston Brokerage Firms are a necessary tool for real estate investments. Ask yourself how much knowledge did it take to become successful in the field that made the capital you now have to invest? The great thing about living in a large metropolis (Houston has over 2.1 million residents) is the variety of commercial office spaces available for lease. Congratulations. The startup that you created is finally growing. You are seeing a spike in revenue, and you have finally hired someone to work with you. However, you look around and notice a big problem. LandPark Commercial's intricate knowledge, gained from managing many different types of commercial properties, is second to none. Many people who invest in real estate have either considered or employed the services of a property management company. It does not matter if you are looking for your first commercial property or if you need space for your growing business, you are going to need the perfect location. When it comes to finding office space for your business, mistakes cost money. Consider the fact that office space is usually the second or third largest expense faced by a business. When searching for the right location to start or expand your business, you might consider such things as ease of access, foot traffic, affordable rent, and adequate space. Presently in Houston, the most populous city in Texas, there exists over 6,000 office spaces for lease at any given time. The commercial real estate market in Houston today presents tremendous challenges. Since the mortgage meltdown of 2008, individuals and companies in need of commercial real estate approach their purchases with a great deal of caution. What is one of the reasons why a landlord decides to hire a real estate company or firm to assist them? Well, one of the main reasons is so there will be no more vacancies. When reviewing your office lease don't get caught in the trap of reviewing the major clauses and overlooking the fine print that can cost you greatly down the line. You know why I picked the doctor I go to? Because her office is right next to the satellite hospital where she sends me if I need to get a blood test, or x-rays, etc. It's convenience. Our economy in Houston could be defined as the transfer of value from one to another. It can be a bit difficult to find your way through the tough commercial real estate industry. You have to purchase or lease office space, acquire land, and a host of other things. Houston today has one hand in the previous bust and one hand in the emerging boom. Anyone that's even casually aware of the commercial market in the greater Houston metropolitan area can tell you it's becoming more competitive by the day. Buying your office property makes financial sense if the cost of financing, construction, and operating expenses is within $1-2 per sq ft. of the market rate for leasing comparable space in the area. Is Your Tenant Representation Negotiating Right of First Offer or First Refusal? Negotiating a commercial real estate lease is complicated. Multiple clauses and real estate jargon dictate the terms of your lease. Choosing to go it alone, can be a nightmare. Often times, the term property management firm has a negative connotation. You might be wondering if investing in a Houston property management firm is worth your time and effort. Is there a "For Lease" sign in the window of your unoccupied commercial property? Is your phone silent? Perhaps you need a property management company that can help you find your next commercial tenant. For the longest time, a commercial real estate broker has placed the "for sale" signs on various buildings as an indication that the space is vacant. A commercial real estate broker is also responsible for doing more than that. Commercial real estate owners in Houston are privy to a premier asset management service with LandPark Commercial. When leasing office space, there are many factors to consider when it's time to renew the lease. Negotiating a commercial lease and renting office space for your business can be a challenging mountain to climb, especially for anyone who has no experience in doing so. Are you a new business owner looking to purchase office space for the first time or are you a veteran in the business world looking for additional office space because your business has been growing? Owners of office buildings in Houston face many challenges in finding and keeping long-term tenants. Whether you're trying to find a space to use for business, or are a land owner needing professional property management solutions: LandPark Commercial is the best service to partner with in the Houston area. Many individuals today own rental properties as a way to maximize their income. While this can be a great way to add a little extra to your pocketbook, there are a lot of responsibilities that come with maintaining multiple properties. Office Space for Lease: The Cheapest Isn't Always the Best. Are you looking for office space for your business? It may be tempting to get the cheapest option you can find, but it's important to resist that temptation. What Will Investors Need Houston Property Management Firms in 2016? Do you manage your own property? Some people choose to manage their own property because it's cheaper than paying someone else to do it. Regardless of whether you are looking to open your first business or you need to expand into a large space, you want to make sure you choose a piece of commercial property that is going to work for you. Finding the right office space for your business is an important step in creating a solid foundation for success. If you are currently looking for an office space for lease, you might be automatically looking for an office in a bustling area. Landlords use property management services to help put a middleman in the relationship with their tenants. If you own office space in Houston, tenant retention is definitely one of your highest priorities. Real estate presents many opportunities for today's investors and entrepreneurs. Houston Office Space-Prime Location as Inc. 5000 Annonuces Their 2015 Fastest Growing Companies in the U.S. When Inc. 5000 announced their annual ranking of the fastest-growing private companies in America, not surprisingly, ten of the honored companies were located in the Houston, Texas area. If you are looking for the perfect home for your business, you might be shopping around for an office space for lease. Houston Office Leasing Brokers Keep You in Control Without the Stress! If you own office space in Houston, you are all too familiar with the stress that surrounds the task of leasing your space to a business or company for use. Several articles recently posted to the Houston Business Journal website have highlighted the continued growth of Houston's commercial real estate market. When one thinks of landlord representatives, it's often in the context of filling vacant office space. Asset management services are services that every property owner needs. While the label makes it sound like property management, the two are very different. How? Opening a business in the Houston area means that you will have to find a suitable office space. The most important thing is that Houston Brokerage Firms owe their clients their "fiduciary duties, which include care, confidentiality, loyalty, obedience, accounting and disclosure" (Wikipedia). When you are a tenant at a particular building, you may have the desire to purchase outright. This way, you can make a solid investment within your business. Commercial tenant lease agreements can be the most complex legal documents a business will encounter. There are no standard tenant agreements for commercial tenants. Office Space for Lease: Are You Making Any Of These Mistakes? When it comes to finding office space for lease, everything seems very simple. You create a plan and carry out that plan to the best of your ability. Property Management Services: Is It Time To Outsource This Part Of Your Business? You are the proud owner of a commercial property. You might even handle all of your business affairs from that property. It is certainly possible to manage your commercial properties on your own, but it may be better for everyone involved if you hire someone else to do that job for you. Finding the right property manager who will work with you can be a hard task. We all enjoy being able to save money, right? This is certainly true when it comes to making a real estate deal. However, many people have their minds set on tackling this process alone. The entire process of finding office space and securing it, regardless if it is in a different location or an extension on a lease where your business currently is can be a difficult and exhausting process. 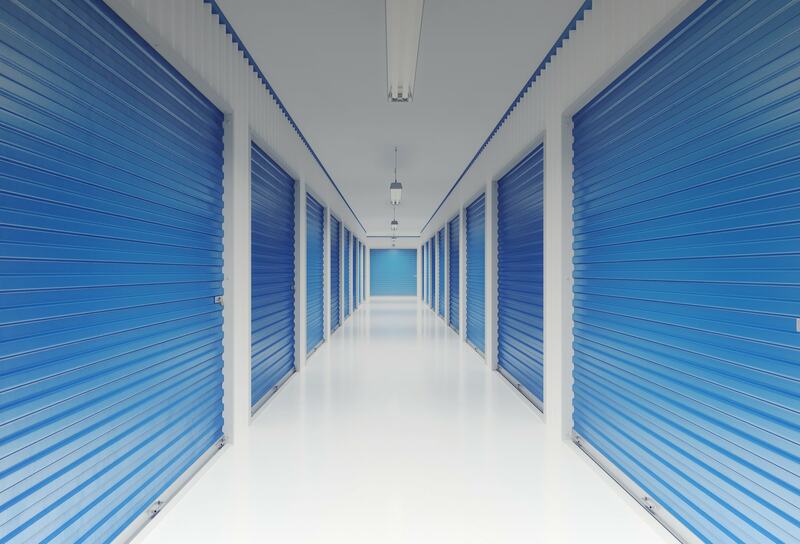 When you own commercial real estate, office space or warehouses, you can put a lot of time and effort into keeping them rented to the right clients. There is always something that needs to be done from maintenance to landscaping. Recent news about trade agreements that will bolster the U.S. If you're looking for Houston office space, there's no time like the present. In spite of the recent struggles of the area's energy industry, Houston still ranks at the top of the list for corporate relocation or expansion. There are plenty of dining establishments and nightlife opportunities downtown. But will that area ever see street-level retail? Houston Office Space: What's Happening at The Woodlands? 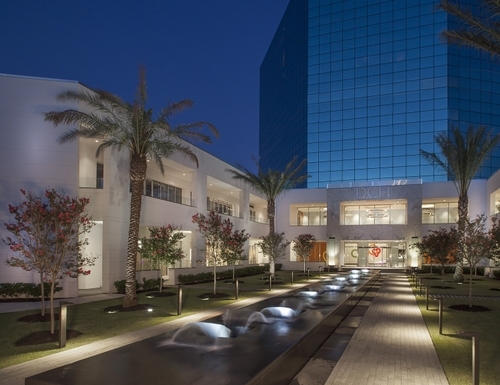 When it comes to Class A Houston office space, the Woodlands leads the pack. But the uncertainty surrounding the price of crude oil may cause cautiousness. Got Retail Space? Get Landlord Representation Too. To those with retail space for lease in the Houston area: it could be your lucky year. If you're looking for Houston office space or you have some available for lease, you're likely wondering what impact of the plunging oil prices will be. Choosing a space for your organization or business can be filled with many tough challenges. You have to be able to negotiate a lease that you can handle, but this can be a difficult and time-consuming task. Starting a New Tech Business? Houston Brokerage Firm Should Be Part of Your Plan. Houston real estate has seen a significant growth in recent years and there is no sign of it slowing down any time soon. It's widely known that commercial leases are harder to secure than residential ones. Most commercial real estate investors know the importance of high-quality property management services to help maintain their real estate investments. In today's commercial property market it is essential that property owners have a property management team that actually provides them with customized solutions to their unique real estate needs. If you're looking for Houston office space, there are certainly some things you should be able to count on, such as electricity to power your lights and equipment. Building owners who want to fill their office buildings or commercial buildings with reliable, stable, long term lessees often find themselves too busy with their own businesses to devote time and energy needed. For some people, it may seem that having tenant representation will complicate the real estate process even more than it already is. You've seen the reports. Houston's economy is booming due largely to a thriving energy sector. Vacancy rates on office space are low, rents are high. A capable manager can be invaluable when it comes to your property investment. Do You Have a Cool Office Space for Lease? For some of them, it is the open floor plan and the lack of cubicles. For others, it is the decor. Others, still, have unique office features such as a deck for entertaining clients. If you're looking for Houston office space, you definitely have some options. Or do you? Needing to secure space for your organization's office can certainly be a tedious process. Have You Outgrown Your Space? Houston Office Leasing Brokers Can Help. What brings popular stores to Houston? Is it the success of the area or is it the success of the business. It's a bit of both. One of the biggest decisions you may have to make as a landlord is if you should or should not use the services of one of the many Houston Property Management Firms. The Texas Workforce Commission recently released employment numbers for July, showing that unemployment in both the state and the Houston area remain below the national average. Outgrowing your space? Tenant representation services from LandPark Commercial can help. Office Space for Lease: Where Have Rents Increased the Most? They're not the areas with the highest office space rents in the city, but Houston's Westchase, Greenway, and The Woodlands have the distinction of being the areas where office rents have shown the biggest increase over the past year. The new and improved office, retail and residential improvements that are about to take place in West Houston have gained the attention of State Rep. Dwayne Bohac. The tech startup scene in Houston is more vibrant than it's ever been, according to the newly appointed CEO of VCS Database, Rick Pleczko. Have You Gone Green with Your Office Space for Lease? Did you know that more than half of Houston's commercial space downtown is considered green? Did you know the city's central business district is among the top ten in the nation for the highest percentage of green commercial space? Retail, Industrial, or Office Space for Lease: Are You Willing to Renovate? Round Rock is about to get another business. When searching for any type of rental property it is highly-recommended to begin your search through a professional real estate broker. According to the CEO of Halliburton, Dave Lesar, the happiness of employees doesn't just boil down to who they work for. Where they work also matters. When it comes to showing the world that an energy leader can also lead in being friendly to the environment, Houston is at the front of the line. Class A Houston office space remains hard to find in some areas, including the Energy Corridor. Perhaps you're planning to relocate or expand your company in Houston. Or maybe you're the owner of an office, retail, or light industrial space in the city and you're in need of a good tenant. The number of college graduates in Houston is increasing, according to a recent article from Forbes. According to a recent report from the Greater Houston Partnership, every major sector with the exception of finance recorded employment gains last year. According to Paul Siegele, the president of Chevron Corp.'s Energy Technology Company and chairman of the board of the Houston Technology Center, tech will be the next boom for the area. A person who is managing their own rental properties is usually looking for a way to make the process easier. Utilizing the services of a property management firm can provide all the benefits of owning rental property without all the hassles. Forbes recently named Houston to its list of America's 20 Fastest-Growing Cities. Are you looking for Houston office space to lease? Are you seeking a thriving area with a mix of business and residential spots? Is Class B the new Class A when it comes to office space in Houston? At some point in their history, most successful businesses have been in the position of having to re-locate. Moving a business is a BIG task and requires a lot of research, planning, and knowledge. Do you have office space in southwest Houston to lease. Warehouse Space for Lease is available to tenants who would come from all over the Houston Metroplex for a variety of purposes. For a budding entrepreneur or small business owner finding the right Retail Space for Leasecan be the deciding factor between growth or failure. Real estate is hot in Houston, making it a great place for office, industrial, retail and the brokerage firms who help put businesses and buildings together. Finding the right office space for lease is one of the most important decisions for a business to make. With the rise of many businesses comes the increase in demand for commercial property and spaces. When it comes to making real estate decisions for your business, you can either shop around on your own, or work with a company that offers tenant representation. Houston Office Space is much coveted these days with many looking to expand their offices in the big city. Today many commercial property owners have a need for effective landlord representation. There are benefits to using a company that knows successful marketing strategies and can attract the highest level of interest from brokerage companies. According to recent statistics by CBRE Group, Houston's vacancy rate for office space declined in the third quarter of this year, with .1 percent fewer vacant offices when compared to the second quarter of 2013. Looking for Warehouse Space for Lease in the Houston area? According to Reuters, companies are flocking to Houston in search of office space as the economy in Texas is sizzling hot. In its latest issue, Forbes has named Houston "America's next great global city". When you start up or relocate a business, location could very well be the most crucial decision to insure its success. There are many things to consider as you look for the choice spot to lease for your retail, warehousing, or office space needs. Landlord Representation is our brokerage team who work with property landlords. Did you know that they do more than scope out the perfect tenants? If your company has decided it's time to find new office space, you're probably wondering where you will find the time to do the necessary research, much less visit dozens of potential sites around town. Finding an ideal office space for lease for your business can be a stressful experience.